A 1031 Exchange is a way to defer tax liability on income from the sale of real estate, if you intend to reinvest the income in another real estate purchase within a specified amount of time. The use of the word ‘exchange’ is probably a little confusing, because it’s not a transaction where you trade your property for somebody else’s. Following the rules and procedures established by the IRS Section 1031 means any gains you make on the sale of the original property are not subject to immediate taxation as capital gains. This is because selling your existing property (known as the “relinquished property”) and acquiring a new property (known as the “replacement property”) is considered an exchange. You can defer these taxes as long as you continue to exchange every time you sell the property in the future. Specifically, the taxes we are talking about are capital gains tax and “recapture” of any previously taken depreciation. Establishing the exchange paperwork and using a Qualified Intermediary (QI) before the sale of your existing property. Selling the existing property, or relinquished property—at closing, the proceeds from the sale will be delivered to the QI (not to the property owner) to comply with Section 1031 exchange rules. Identifying a replacement property that meets all the requirements of a like-kind exchange. You must do this within a specific timeframe under the existing exchange rules. Buying the replacement property within a specific timeframe as outlined in the exchange rules. The QI pays the proceeds directly to the replacement property seller to comply with IRS rules, and you receive the deed. There are other types of exchanges, including reverse exchanges, improvement exchanges, and personal property exchanges. It’s important to work with an experienced QI so the transactions are executed smoothly and you are able to realize all the tax benefits of the transaction. If you’re selling your property at a loss, a 1031 exchange would not be the right option for you, since there are no profits to protect; but if you are selling your property for a price greater than when you acquired it, a 1031 exchange can save you the tax you would normally have to pay on the gain. This can add up to substantial savings! Since reinvesting the income you earn on a real estate sale is good for the economy, the government (See IRS Code on 1031 Exchanges) has allowed this tax saving procedure as an incentive for you to reinvest those proceeds immediately. Depreciation does not apply when you’re selling land. Depreciation is an IRS sanctioned write-off (See IRS Publication on Depreciation), or deduction from your annual income, tied to the total value of your real estate, minus the value of the land under it. It is the government’s way of acknowledging that your building is deteriorating over time through normal wear and tear. For example: You buy a rental home for $100,000 (See IRS Publication on Rental Property Depreciation). It is determined that the land value under the home is $20,000. You can start depreciating the $80,000 on you tax return a little bit each year over the next 27½ years (yes, that is a strange number—don’t ask me how they came up with it). You now deduct $2,909/year from your taxable income. Fast-forward 10 years, and you have deducted a total of $29,090 from your taxable income over this period. Now you sell your property for $150,000. If you don’t do a 1031 exchange (what were you thinking? ), not only will you pay capital gains tax on the gain, you will also have to pay tax (recapture) on all of the depreciation you have taken over the last 10 years. Now that you know more about the exchange process, let’s start working. Contact us and we’ll be happy to assist you in every way we can. Section 1031 of the Internal Revenue Code allows an owner of investment property to exchange property and defer paying federal and state capital gain taxes (up to 15% Federal, 25% depreciation recapture and applicable state taxes) if they purchase a “like-kind” property following the rules and regulations of the Internal Revenue Code. This allows investors to use all the sale proceeds to leverage into more valuable real estate, increase cash flow, diversify into other properties, reduce management or consolidate holdings. For example, raw land can be exchanged for a single family rental, or apartments or a commercial building. Properties can be exchanged anywhere within the United States. No, contrary to what some property owners envision, a § 1031 tax deferred exchange is rarely a two-party swap. Most exchanges are delayed exchanges, whereby the Exchanger has 180 days between the sale of the relinquished property and the closing of the replacement property. They must identify the potential replacement property (or properties) within 45 calendar days from closing on the relinquished property. When is a § 1031 exchange applicable? It is applicable whnever a property owner intends to SELL any property that is not their primary residence (and falls under the definition of “like-kind”) and plans to BUY another “like-kind” property within 180 calendar days following the closing of the relinquished property. Paramount to any exchange is a competent and experienced Qualified Intermediary. 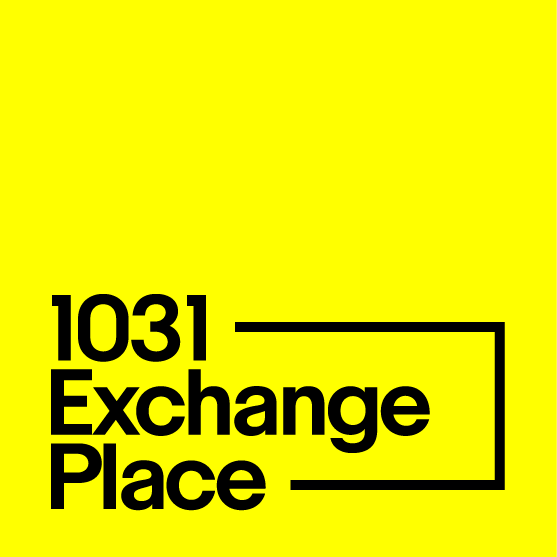 1031 Exchange Place is the entity which structures, guides and documents the exchange transaction from beginning to end.